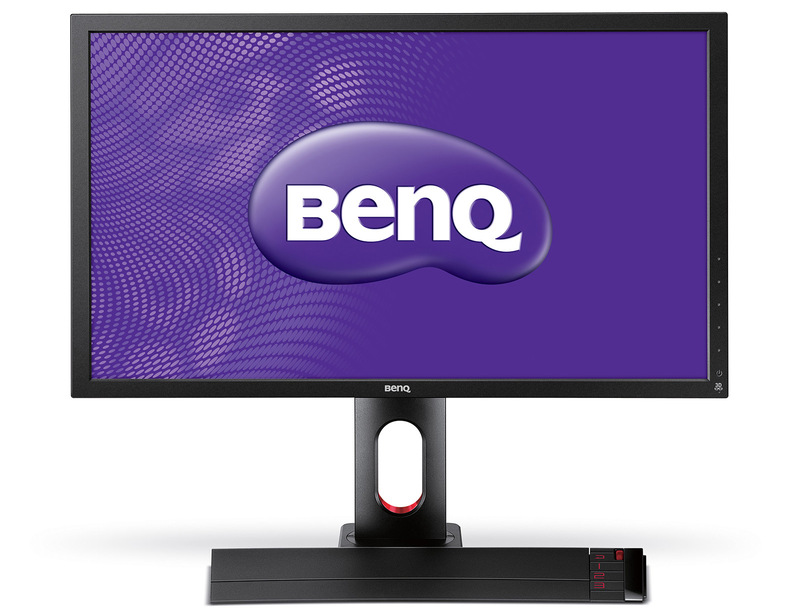 BenQ has introduced their first 27-inch BenQ XL2720T 3D-capable gaming monitor supporting 120Hz refresh rate in that is compatible with Nvidia’s 3D Vision and supports 3D Lightboost technology (it seems that the display does not support 144Hz unlike the smaller 24-inch XL2411T). In fact the Asus VG278H and the BenQ might use the same LCD panel (not the VG278HE that supports 144Hz as BenQ’s display may not support 144Hz). The BenQ XL2720T is essentially a larger version of the smaller XL2420T model that the company offers that includes all of the extra features available in the 24-inch model, unlike the more stripped down BenQ XL2411T model. Have in mind that just like the case with the Asus VG278HE, the BenQ XL2720T also does not come with a built-in 3D Vision IR emitter or 3D glasses bundled, these monitors are 3D Vision-ready, but you need to buy the full 3D Vision kit separately if you want to use them in stereo 3D mode. And since a lot of non-stereoscopic 3D gamers have already shown a lot of interest in such monitors because of their high refresh rate and the ability to use the 3D Lightboost technology in 2D mode in order to eliminate the motion blur the market for 3D-ready monitors has grown a lot. In fact if we take a look back lately we’ve seen companies releasing 3D Vision-ready monitors without integrated IR emitters and bundled 3D glasses that are targeted as much to the normal gamers as they are to the stereo 3D gamers. The BenQ XL2720T Monitor Review Fund has so far collected 12.63 Euro (2.7% of the Goal). Here is a PayPal donation button that you can use to donate for the BenQ XL2720T Monitor Review Fund, we need to collect around $600 USD (~470 EUR) for the price of the monitor and I’ll cover the shipping (in Europe hardware is more expensive than in the US). 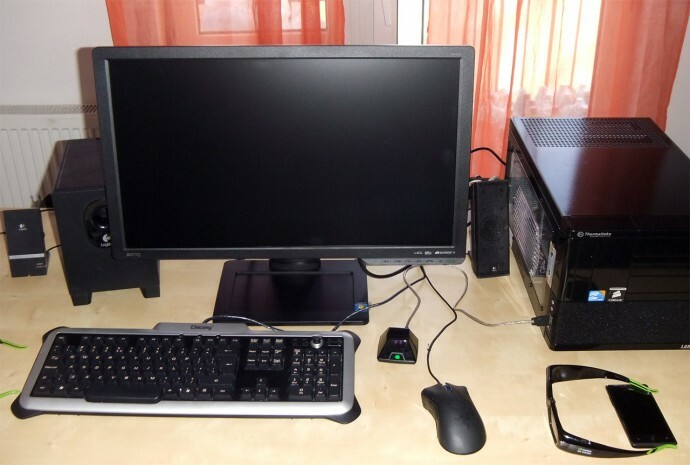 So if 600 people donate $1 each (or 470 people 1 Euro each) I’ll be able to quickly order and test the BenQ XL2720T and after I finish someone who has donated for the monitor test fund will get to keep the monitor. Unfortunately due to the large size and weight of the displays only people in Europe will be able to participate in draw for the monitor, though anyone is welcome to help in donating for the monitor test fund. I’ll cover the shipping costs of the monitor to the person who is drawn to receive it and if he is in an EU member country he will not have to pay anything extra, for non-EU member countries in Europe there could be some customs tax, so have that in mind. Unfortunately calculating the shipping cost using different courier companies for overseas shipping to America or Asia for example gave frightening results – the shipping cost may end up more than what the monitor actually costs, so that is why only people in Europe will be able to participate in the draw for the monitor. So when donating for the BenQ XL2720T Monitor Review Fund make sure you note if you want to participate in the drawing of the test monitor as a prize after it has been tested and reviewed or not. Again everyone is welcome to donate to the fund for buying the monitor for a review, but only people that are from Europe will be able to participate in the draw giving them the chance for winning the monitor after the review is finished. There is no limit or requirement on the sum you can donate for the monitor test fund, so it is up to you to decide on the amount you are willing to donate and if you are willing to do it at all. I was finally able to take a quick look at BenQ’s XL2410T 3D monitor yesterday and although I wasn’t able to properly test it as I wasn’t prepared well enough for that, I still was able to try a few things and get a general idea. Have in mind that here I’m talking about an early sample of the monitor, not a production one that you may already find in retail stores in some European countries for example. I’m noting the fact that I’m talking about an early sample, as the final products might be better than what I’ve seen, so do not get a final judgment yet based on what I’m about to tell you for the monitor.